LA_2053 Alligator Embossed Leather Dress Belt. Alligator Embossed Leather with Stitched Edges. 1-3/8" = 35mm wide Leather Belt. 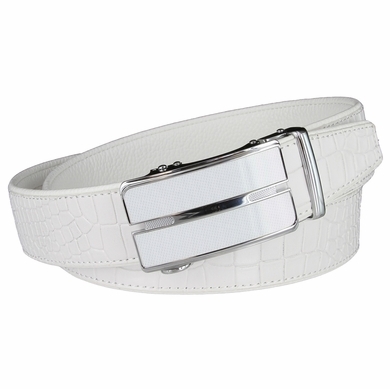 Can be resized by removing the buckle and cutting the belt strap to the desired size.